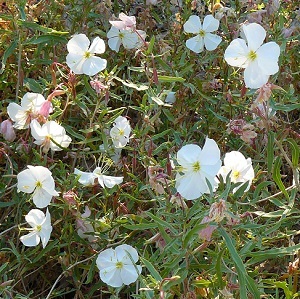 This Boise Foothills native produces scads of lovely white flowers and, given a little extra water, can bloom all summer. The plants spread by root and could be invasive in the wrong situation. Needs no water once established. Not currently available. Height x Width: 12" x 12"